Alex Oxlade-Chamberlain has been added to Liverpool’s Champions League squad for the knockout stages, with changes confirmed ahead of the last 16. Jurgen Klopp was required to submit a revised squad list by midnight on Friday, with the manager able to register three new eligible players. The maximum of 25 for List A—in other words, those not born on or after January, 1997 and with the club for any uninterrupted period of two years—remained however. Oxlade-Chamberlain has been added to that list, marking the midfielder’s excellent recovery from a knee injury suffered in the competition back in April. 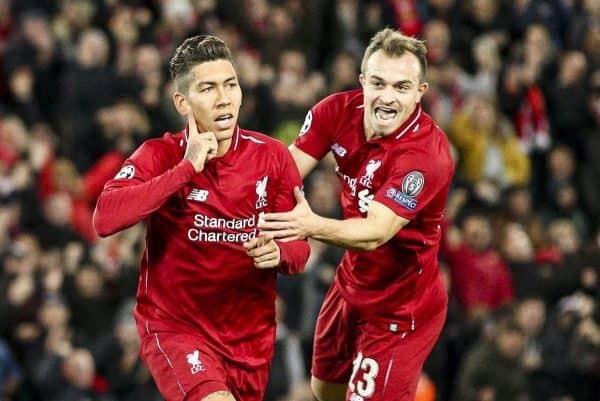 The 25-year-old has been sidelined for the past 10 months, and was initially pencilled in for a return this summer, but it was reported in January that Liverpool were confident he would be back in training next month. 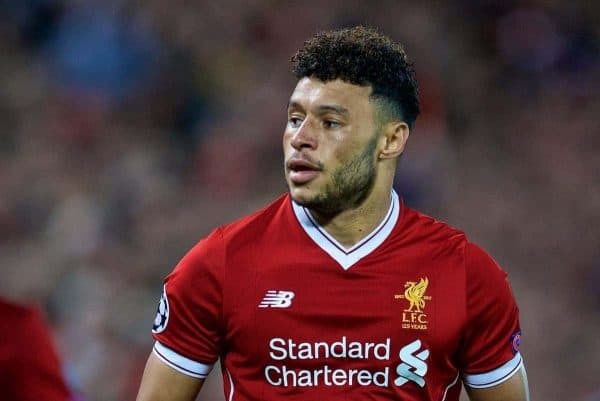 However, it remains to be seen whether Oxlade-Chamberlain, who scored five and assisted eight in 42 games for the club last season, will be passed fit to feature in either of those clashes. But his inclusion in Klopp’s revised squad list underlines the belief that he will be back to make a contribution in the near future. Ki-Jana Hoever has also been included in List A despite only turned 17 in January, as he joined the club in the summer, taking Nathaniel Clyne‘s place following his loan to Bournemouth. And following his return from a difficult spell with Sheffield United, Ben Woodburn is added to List B.
Oxlade-Chamberlain scored twice for the Reds last season’s Champions League, including an incredible strike against Man City in the quarter-finals.